I've been loving the cards everyone is making using the flowers in the Springtime Foils Specialty Designer Series Paper (DSP), and I just had to make one myself. I would have made more, if I hadn't run out of time. I love them! I used the dotted, rose gold foil paper that also comes in this paper pack, too. I wanted to show everyone that you don't need to have the Stampin' Blends to make these flowers beautiful! I watercolored this flower using an Aqua Painter and the Berry Burst and Old Olive Classic Stampin' Pads. This paper is perfect for watercoloring on. The paper does well with water. If you love this Springtime Foils Specialty DSP as much as I do, you'll have to hurry! The only way you can get this beautiful paper is by placing a $50 order (before shipping & tax), and choosing this as your FREE Sale-A-Bration item. The reason you have to hurry is that Sale-A-Bration ends THIS Saturday, March 31 @ 11:50 p.m. (MT)! After that, this beautiful paper will be gone forever! 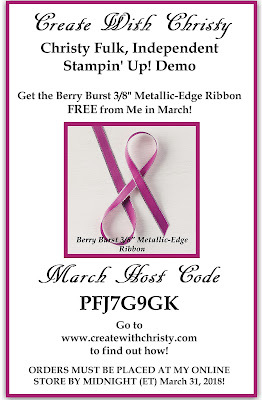 Bump your order up to $65 (before shipping & tax), and you'll ALSO get the Berry Burst 3/8" Metallic-Edge Ribbon I used on the card FREE from ME! It's my Host Code Giveaway Gift for March, and you only have until THIS Saturday, March 31, to get it free, too! 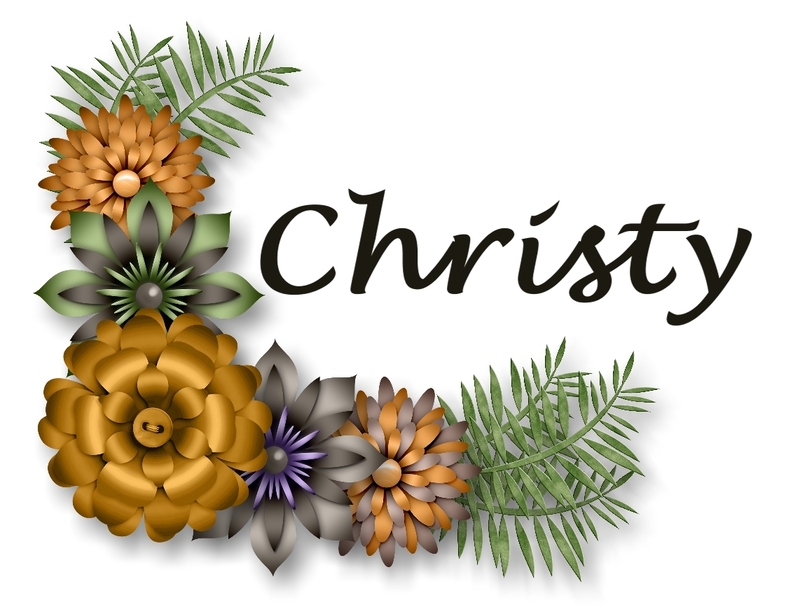 CLICK HERE to find out how you can get this ribbon FREE from ME (and this month's card)! Click Here to See the Other Projects I've Made With This Beautiful Ribbon! Berry Burst 3/8" Metallic-Edge Ribbon: 7" & 5"
Emboss the Whisper White piece by running it through the Big Shot with the Layered Leaves Dynamic Textured Impressions Embossing Folder. 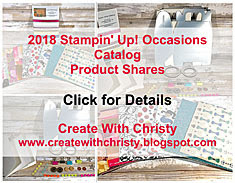 Using a Sponge Brayer, cover the Springtime Foils DSP dotted paper piece with ink from the Old Olive Classic Stampin' Pad. Attach the piece to the center of the Sahara Sand mat piece, and then attach it to the center of the embossed Whisper White piece. Stamp the "Always thinking of you" stamp from the Beautiful Day Stamp Set onto the right end of the Sahara Sand greeting strip using the Early Espresso Classic Stampin' Pad. Attach it across the Whisper White/DSP piece, placing it a little above center. Wrap the 7" piece of the Berry Burst Metallic-Edge Ribbon across the bottom of the Sahara Sand strip, and attach the ribbon ends to the back of the Whisper White piece. Fold the Berry Burst piece in half (fold on the top) for form the card base. Attach the embossed/DSP piece to the center of the card front. Watercolor the desired flower image in the floral paper in the Springtime Foils Specialty DSP with an Aqua Painter using the Berry Burst Classic Stampin' Pad (flower) and Old Olive Classic Stampin' Pads (leaves). How to get the ink from the ink pads: While the ink pads are closed, squeeze the lid of the ink pad until it comes up against the ink pad inside. When you open the ink pads, there should be ink in the lid of the ink pads. Pick the ink up with the Aqua Painter. This keeps the ink pad from getting wet with the water in the Aqua Painter. Fussy-cut the flower image out with Paper Snips. 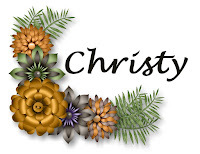 Attach it to the left side of the card using Stampin' Dimensionals (see picture). Tie the 5" piece of ribbon onto the right-side of the attached ribbon using a single-knot. Trim the ribbon ends at an angle.